Meet Volare Compass. Actively engage visitors with location marketing. Collect visitor identities and on-site behaviors to activate location based messaging. Easily collect and manage the identity of your visitors in compliance with privacy regulations. Target identified visitors in your location marketing campaigns. 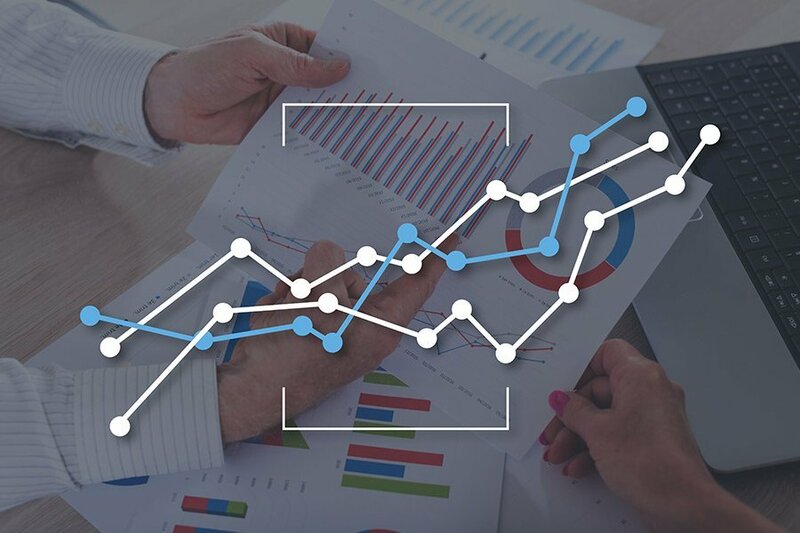 Use predictive analytics to discover visitors that are likely to convert and send them targeted messages while their interest is high. Reveal in real time the behaviors of identified visitors within your locations to initiate your location marketing campaigns at the right time. Enrich your customer profiles with on-site attributes for a more comprehensive view of customers across all channels. Use on-site behaviors to group identified visitors into micro-segments for more effective location-based marketing. Identify appropriate target audiences for your location-based marketing campaigns by adopting Volare Compass’s powerful AI-driven algorithms. Gain insights into your audiences to deliver relevant messages. Easily maximize your location-based marketing ROI. Group identified visitors into different micro-segments based on their attributes and actions performed while in your locations. Feed micro-segments into your marketing stack to create lookalike audiences and successfully scale your targeting. Plan and measure your campaigns with out-of-the-box location-based marketing tools. Trigger tailored messages to your identified visitors instantly based on their on-site behavior and brand interactions. Send tailored messages to your identified visitors by selecting the method – text message, email or push notification – that works best. 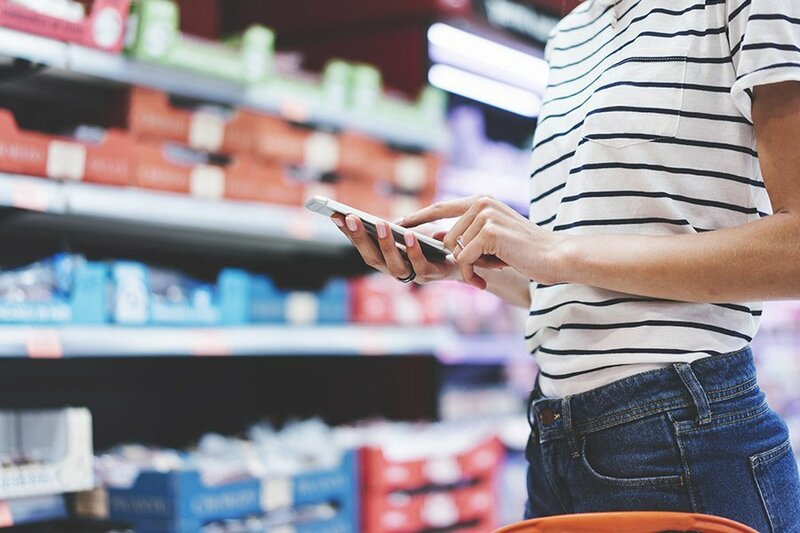 Enrich your location based messages by offering smart content – such as surveys, coupons or video advertising – determined by on-site behaviors. Make WiFi login process part of your location marketing strategies by offering relevant content to your visitors when they access your guest WiFi. Integrate identified visitors into your existing marketing strategies with an open and flexible architecture. Choose from a rich set of APIs, webhooks and integrations to feed your marketing stack and reinvent your marketing. Enhance your existing mobile apps with special features by using the mobile SDK. For example, include seamless onboarding directly from the mobile app. Customize on-site experiences for your identified visitors by delivering relevant, context-aware messages during the WiFi experience. Deliver seamless, customer-centric experiences across and between channels. 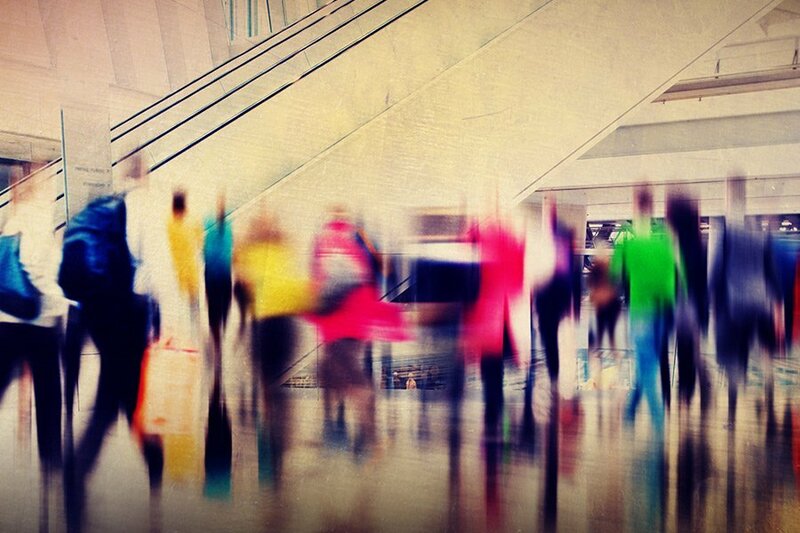 Your locations play a key role in building an effective, unified commerce strategy. 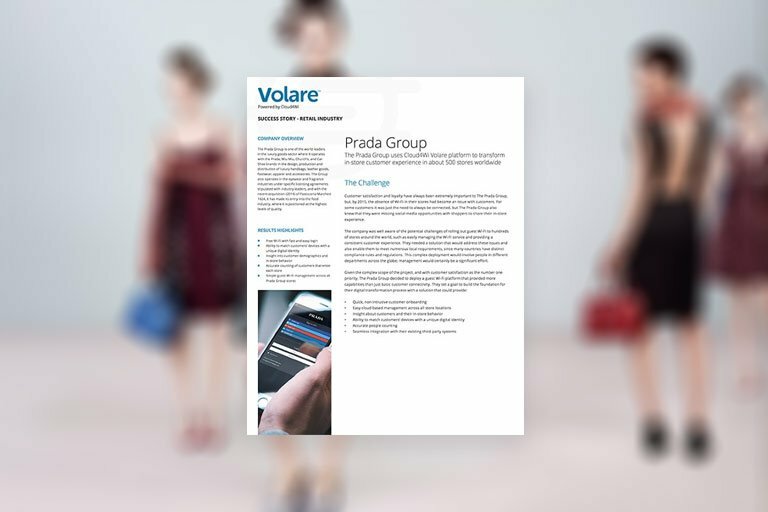 Want to understand in real-time how visitors behave in your locations and quickly connect with them?Discover Volare Sense, our new WiFi and Bluetooth sensor. Get a comprehensive view of customers, including on-site and online behaviors. 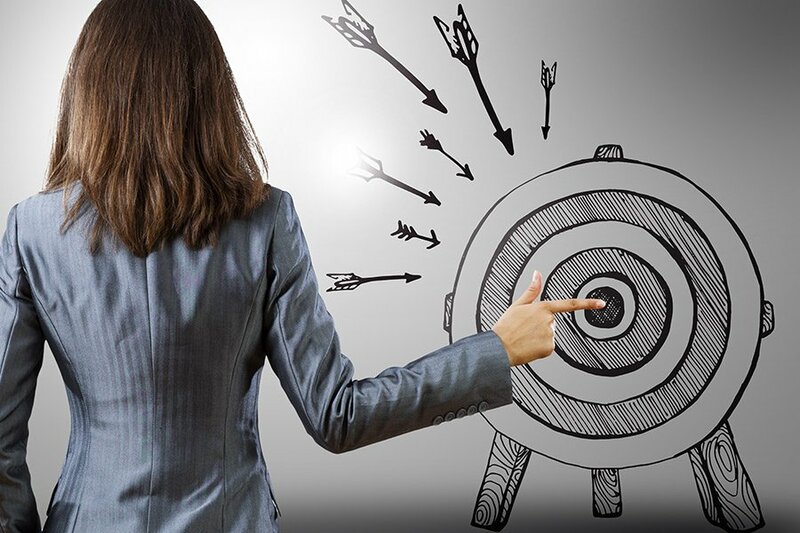 Identify the right target audiences and personalize your marketing campaigns effectively. Add locations into your attribution model and learn which channels lead to the conversion. Provide customers with seamless, personalized and relevant experiences across all channels. 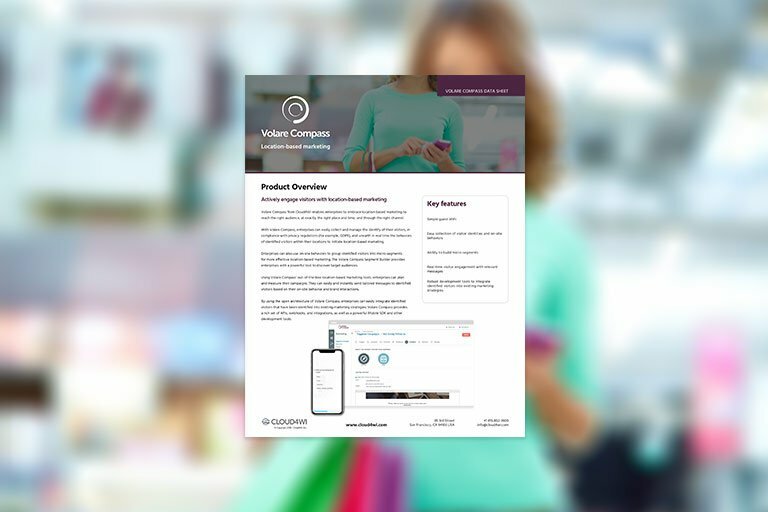 Volare Compass helps you experience a triple-digit ROI. Use our ROI calculator to get quick answers and visualize your results. Spend some 1-on-1 time with a Cloud4wi expert and discover how to unleash the power of your guest WiFi.